The 2018 NASCAR season will be an historic one for Las Vegas Motor Speedway. 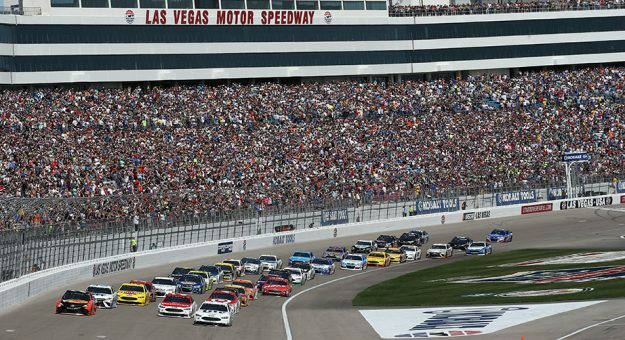 LVMS’s spring NASCAR Weekend will run March 2-4, with a NASCAR Camping World Truck Series race taking place on Friday, the NASCAR XFINITY Series’ Boyd Gaming 300 following on Saturday and the Monster Energy NASCAR Cup Series’ Pennzoil 400 anchoring the tripleheader on Sunday. The speedway’s fall weekend will be Sept. 14-16 and consist of a Friday NCWTS race, an XFINITY Series race on Saturday and a Monster Energy NASCAR Cup Series race on Sunday. LVMS will kick off the Monster Energy NASCAR Cup Series Playoffs in September and be the first track in NASCAR history to host two tripleheader weekends in the same year. In addition, the speedway’s September XFINITY Series race will serve as the cutoff for qualification into the XFINITY playoffs, and the Truck Series race will be the second playoff event for that series. LVMS was awarded a second NASCAR Weekend and signed Pennzoil as title sponsor of its spring Cup race in March of this year. The speedway first hosted a Truck race in 1996, then followed with an XFINITY event the following year and added a Cup race in 1998. Next up for LVMS is its fall Truck race on Saturday, Sept. 30, which will be part of the NCWTS Playoffs for the second consecutive year. Fans can purchase annual passes for LVMS’s 2018 events at a deep discount off individual weekend tickets by calling 1-800-644-4444 or logging on to www.LVMS.com.